This black and white combo went into two pairs of socks a couple of years ago, but really, it would be perfect for a new hat to wear with my bright red parka. I'm usually due for a new hat at about this point in the winter, when I start to get tired of the ones I've been wearing. This year has been a little funny though because I've had the parka instead of my usual down coat solution with the mandatory hood unzipped and left behind in the closet. The parka's hood won't detach and I've started actually using it, only to find that WOW, a hood does a really good job of keeping your head extra warm! And it doesn't mess up your hair, and you won't lose it by accident, and hoods don't look weird when everybody else is using them too. So, technically, I don't need another hat. Bob needs another hat more than I do. 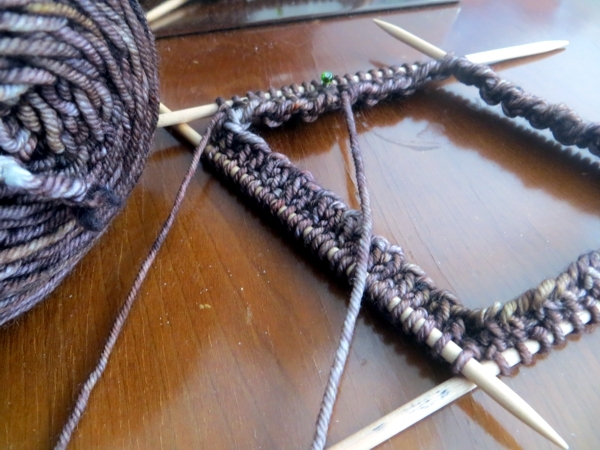 And another thing: remember all those double point and circular needles I tried to sort through not too long ago? Well, I sorted them and put them neatly away and now I can't find them ANYwhere. Seriously. It's not like this condo is massive with grand entry halls and libraries and drawing rooms. 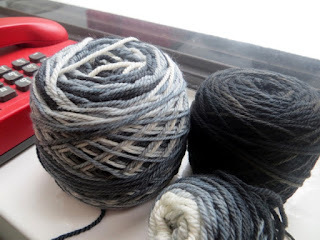 I just have no idea where they are and without them I can't cast on a second hat project, can I? Nor do I have time to sneak out to a knitting store to buy more. Dang. Worst of all: I don't actually want to knit either of those things anyway. They are 'should' knits. Really I just want to knit mindlessly around and around on a sock, and I know that's the smartest thing for me to do because last night I pushed everything away from the middle of my desk and fled to the television to watch whatever TCM was showing, and I knit two rounds of sock and then just stopped and stared, eyes glazed over, at the screen for another hour. I mean, if I'm too tired to knit, I'm too tired for cables or pattern-making. Socks are probably the best thing I can do for myself right now. 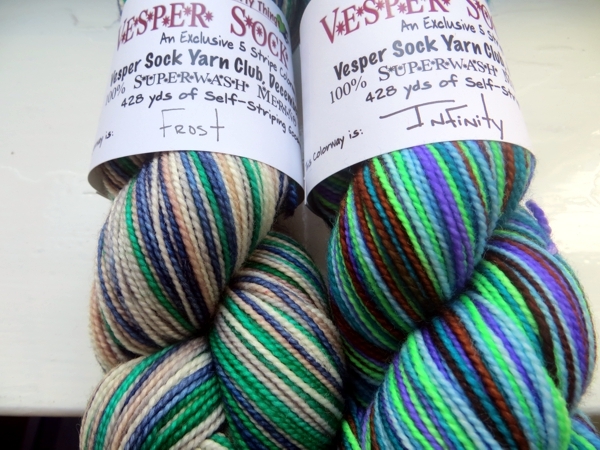 Speaking of socks: check out the latest Vesper skeins that came in the mail on Wednesday! If I could find the bag of double points, I would be caking this up and casting on another pair of socks today. As it is, I have to finish some other socks first. 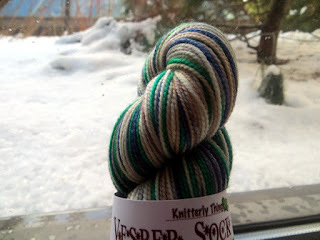 Maybe the best plans you can make for weekend knitting are just to knit, and not worry about what you knit? Hope you have a great weekend however you spend it, and I'll see you Monday! And I am keeping these vintage buckles why?